You have high-performance production facilities. 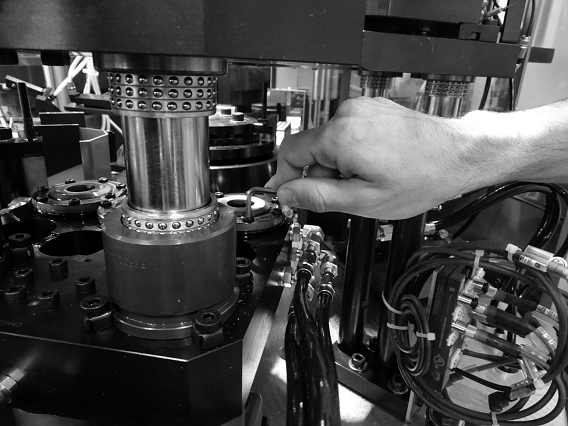 However, all manufacturers can be faced with unexpected production stoppages. What are the consequences of a machine breakdown? In other words, considerable human and financial risks. And yet solutions exist. Since its creation, AMACH has focused its efforts on delivering solutions to meet your requirements. Has one of your machines failed? It is vital to get it repaired as soon as possible to relaunch production. We can provide a team of experts trained to deal with the specific failure at short notice. And since it isn’t enough simply to “repair” in order to ensure optimal production, when our experts come out to the facility, they will analyse the problem to determine a permanent solution. A.Ma.C.H. Consulting réalise à votre demande des systèmes hydrauliques en fonction de votre cahier des charges et votre configuration technique. Notre prestation de service s’étend de l’étude à la realisation en France comme à l’étranger. Nos systèmes peuvent répondre à la norme ATEX. 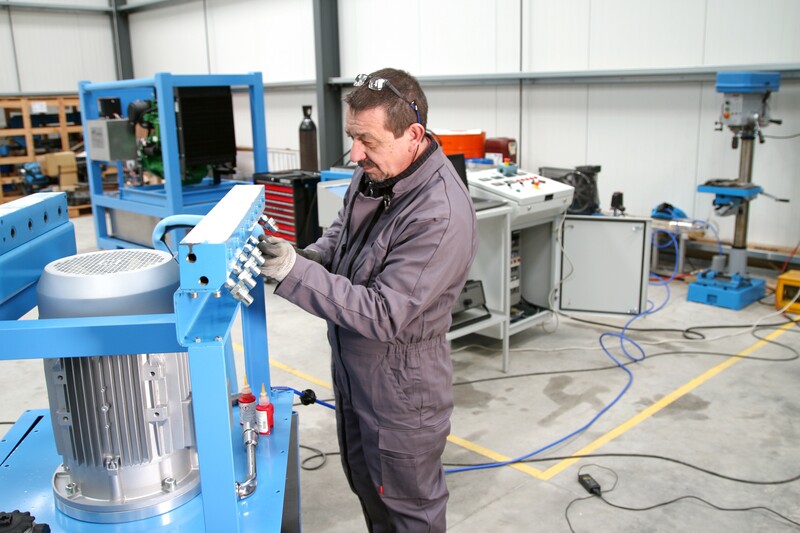 We provide preventive and curative maintenance services for your hydraulic facilities and machine tools and also sell components, irrespective of brand. Our specialists will work with you to help you set up the preventive maintenance programme best suited to your requirements. You can opt for systematic preventive maintenance and/or conditional maintenance. The latter is based on indicators put in place to enable the real-time monitoring of the condition of your installations. We carry out an assessment of your installations with a view to implementing the improvements required to prevent a future equipment failure. Our global solutions enable you to concentrate more on your production. You want to modernise your facilities in order to achieve your production targets. We deliver multiple solutions adapted to your needs, your facilities and your working environment. “Produce, yes. But you cannot put a price on life. Do I comply with the legislation?” Conscious of these issues, we provide you with everything you need to help ensure the safety of your facilities.